Converted stone barns on a small farm with lovely walks in private woods and fantastic views. Ideal for both Exmoor and Dartmoor as well as North Devon Coast. Torrington 7 miles. RHS Rosemoor Gardens, Tarka Trail, Bideford, Appledore, Clovelly & Northam beach nearby. Attentive Devonian hosts offering stylish en-suite rooms with lovely valley views. Dinner available. Free range, fair trade & always home-made. Hill Farm is no longer a working farm and the five well-equipped self-catering cottages are sympathetic conversions of a range of barns. Explore Exmoor,Dartmoor ,Dartington Crystal ,R.H.S Rosemoor Gardens ,1646 Experience, with Survival Paintball -North Devon quads and clay pigeon shooting, Just a 8 minute walk away. 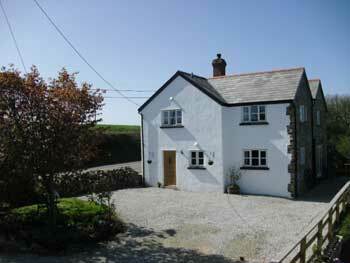 Self Catering Cottages are situated in the heart of rural Tarka-the-Otter country. 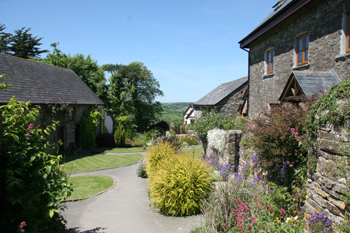 The cottages are about 3 miles from Great Torrington, where shops, pubs, restaurants, a public indoor swimming pool, tennis courts and sports hall can be found. This wonderful 17th Century Farmhouse has been superbly refurbished to offer our guests a high standard of accomodation, with all ensuite bedrooms with full size bathroom suite and shower. Set in the heart of North Devon's beautiful countryside, Penlan House bed and breakfastoffers you rural peace and tranquility with all the comforts of home. The Clinton Arms is a lovely Inn and provides an ideal base for exploring the Tarka Trail, fishing the River Torridge or just relaxing in North Devon's countryside. Good restaurant. The Bell Inn is a quaint, typically thatched 16th Century Inn. Situated in the rural village of Monkleigh. Yet not far from the ancient port of Bideford, or in the other direction; Great Torrington, with all its'Civil War' history. However you choose to spend your days, you can expect an enjoyable and unforgettable stay and, like most of our guests, return again and again to sample the pleasures of Beaford House Hotel.